Tradition is a funny thing. It can be as old as time itself — steeped in mystery and history with little known about how it started, or it can be shiny and new — just starting to form. Eventually the traditions all mingle, some fading away, some becoming stronger, depending on the situation and people involved. Christmas tradition for my family always started with a long Christmas Eve-day drive as we headed over the river and through the woods to grandmother’s house. Yes, seriously. Santa came early each year and after opening presents at home the morning before Christmas we would pack into the mini-van with our spoils and set off on the most boring drive you can imagine. My brother and I would fight — about who got to sit in the far back vs the middle, about who’s feet went where, about everything and nothing — for roughly 5 hours of the 8 hour drive up to the winter wonderland of my grandmother’s farm in Western NY. However once we arrived, distracted by cousins and cookie tins in the basement, all was once again merry and bright. On Christmas morning the cousins would all scramble downstairs to see if Santa had left a pinata. Not that there is any South American heritage amongst any of us mind you, but they sold pinatas at the local small town grocery store and somewhere along the way someone decided it would be a brilliant idea to hang a large paper mache animal from the living room arch and let small children beat it with a broom stick. The colourful beast would always be knocked down, barely missing small heads and windows as it flew through the air, well before it cracked and we would set upon it like locusts to get to the candy guts. High on sugar we would be sent out into the fields to play in snowdrifts taller than our heads, or down to the barn to feed the horses, or pretty much anywhere that got us out of the kitchen so that Christmas dinner could be prepared without too many children underfoot. As we got older the piñata and playing in the snow was traded in for board games, while sneaking cookies was traded for sneaking remnants from the bottom of wine bottles and openly eating as many cookies as possible. Around the same time, the kids table turned into the place to be — it was far more fun than sitting with the adults — and the cousins would stay up long after the oldies headed to bed, cackling manically at Trivial Pursuit answers and telling stories of the year that had just past. But one thing that never changed was the food. Sure there was a hotly contested new dish or variation every now and then, but in general the menu remained unchanged. The same sides, the same pies the same order of attack — aunts slicing and dicing while uncles made eggnog, my grandmother leading the charge like a wooden spoon general. 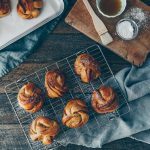 However, while granny-skills and home-kitchen masterchefs are on the rise, most people would rather climb in the oven themselves than have to prepare a multifaceted meal straight from scratch for a large group who will all arrive on the dot of 2pm. And while Christmas should be a time of celebration (whatever you celebrate, denominational or otherwise) it tends to turn into a time of stress instead. Now Christmas in Sydney has always seemed to me to be a bit more about convenience and simplicity than it was up in New York State, and no doubt this approach is heavily influenced by the weather. Here there is no huddling inside and prepping for days while the cold and wind knocks at the door… Christmas on the east coast of Australia is more about prawns and a barbequed roast in the late afternoon sunshine, followed by an evening swim. But while the approach is more casual the expectation of quality is no less and seem to have increased tenfold, even just in the past decade or so. I blame the Internet. 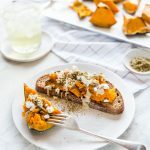 Seemingly effortless feasts float across our screens from late October, tips on how to create a lunch for 20 in no time at all pop up everywhere you look. Expectations get higher and higher — complicated by our edited and filtered social media lives and encouraged by traditional media — yet because Christmas is a once a year occasion simple simply doesn’t seem acceptable. I was recently part of a twitter conversation around Christmas cooking generally, and the mighty Turducken specifically. Someone was asking for tips on how to best cook an assembled but raw bird trio and a few of us gave our input regarding techniques, then someone else pipped up that they had simply bought one pre-cooked and ready to go. The common thread to the conversation was food-mad people embracing the crazy of a chicken inside a duck inside a turkey — but the way people approached it ranged from starting from scratch (taking each bird, de-boning, stuffing and cooking), to buying one assembled and roasting, to having one delivered fully cooked and ready to slice. At the end of the day you end up with a Turducken on the table but the method of attack varied greatly based on the host. Now don’t get me wrong, I adore making everything from scratch, but most people aren’t quite as insane as I am, and at some point you have to decide what is worth the effort of doing yourself vs what is worth calling in reinforcements. Those reinforcements may be as simple as popping down to a corner bakery for bread or over to the local farmers’ market for meat, but it could also mean outsourcing the dicing, stuffing, steaming and curating somewhere else entirely. Living in central Sydney means I have access to many more food resources than people in smaller towns — or simply those for whom the closest farmers’ market or organic butcher is well over an hour drive away. And while I include supermarkets in my regular routine, I know full well that large stores are the only option many people have in their area. Not to mention, while not everyone is quite as crazy in the kitchen as I tend to be, they still want to spoil themselves and their guests during the holidays. It is here that Woolworths’ new premium grocery line called Woolworths Gold comes into play. 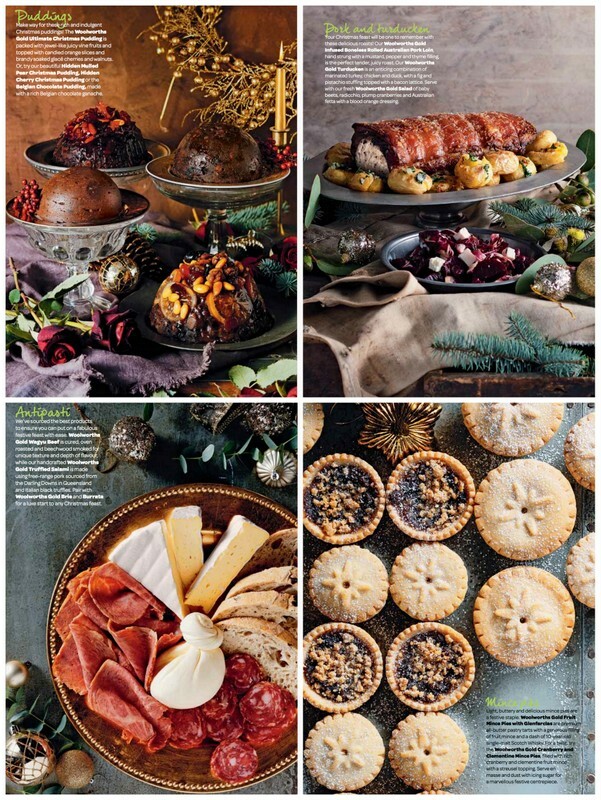 I must admit, when I was approached to share the new Woolworths Gold Christmas range with you all I was initially hesitant, not only am one who likes to make as many things as possible from scratch but it is no secret that I have over the years expressed my distaste with supermarket brands. 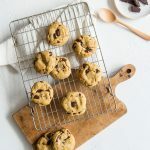 I go for unprocessed over packaged every time and I am a perpetual ingredient reader — but I also appreciate convenience and as time gets tighter and tighter I find myself looking for shortcuts that still measure up. Positioned at the top of their suite of store-brand products, the Woolworths Gold range has been designed around items created through traditional methods. The products, with many available all year round, use high quality ingredients and are crafted by experts. 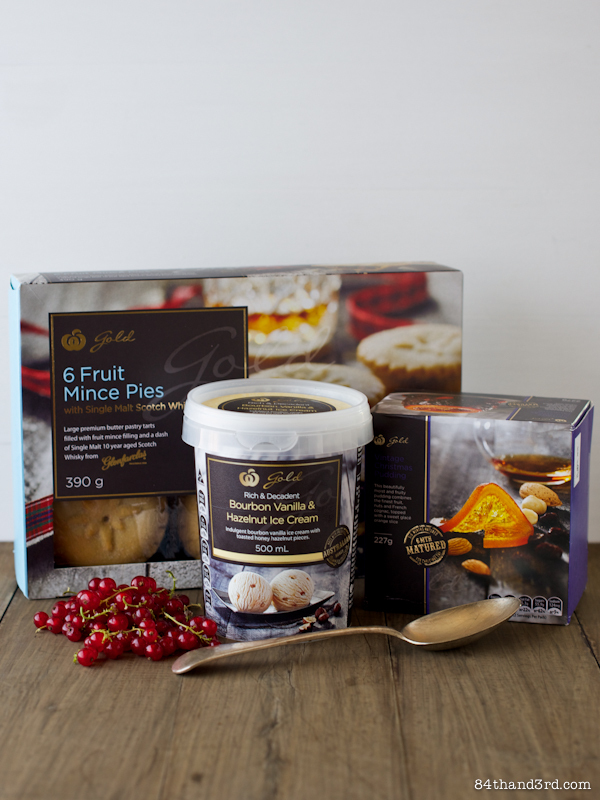 Woolworths Gold is currently focused on creating an affordable and indulgent Christmas for everyone and the range is really coming into it’s own this holiday season. With special products suited to whatever form your Christmas lunch takes — from pies, cookies, and steamed puddings to roasts and deli specialties — Woolworths Gold promotes real ingredients with no preservatives. If you are looking for a bit of help to stock your table and pantry for the holidays it is definitely an alternative to consider. While dessert won in the end (let’s be honest, dessert always wins) I was impressed by the 100% durum wheat Woolworths Gold Pasta and had planned on making a festive holiday antipasto pasta salad — including smoked Woolworths Gold Wagyu Beef, Queensland free-range pork Truffled Salami, slices of Woolworths Gold Brie and creamy Burrata — as a nod to my Italian heritage. But somehow the ice cream and steamed pudding started winking at me and before I knew it they had merged into a Christmas Pudding Mince Pie Ice Cream Bomb perfect for a hot Aussie Christmas. Make it a few days before, take it out after the roasts and sides and salads are done then serve with a dollop of chocolate sauce and some fresh summer fruit before you head down to the beach. As for what traditions we’ll be keeping up this Christmas? RJ and plan on having our own Christmas Eve seafood feast and I’ll bake cookies and Pumpkin Pie to take to the sister-in-law’s house for Christmas day. There will be a smaller than usual group of us this year but no doubt we’ll start with D’s garlic-y hummus and an antipasto platter on the veranda before moving inside to eat cold Aussie prawns, a bbq roast and fresh baked bread. Then if the weather behaves we may head down to the beach to dip our toes in the ocean. Because we can. What will you be doing on Christmas Day and do you have any shortcuts — or things you would never shortcut — around the holidays? There are very few things better than pie and ice cream. This decadent holiday dessert combines them into one gorgeous slice — with a handful of Christmas pudding folded in for good measure. Buy high quality pre-made ingredients and just mix them together or make everything yourself, it’s entirely up to you. Line a 1 litre (4 cup) bowl with a double layer of plastic wrap. 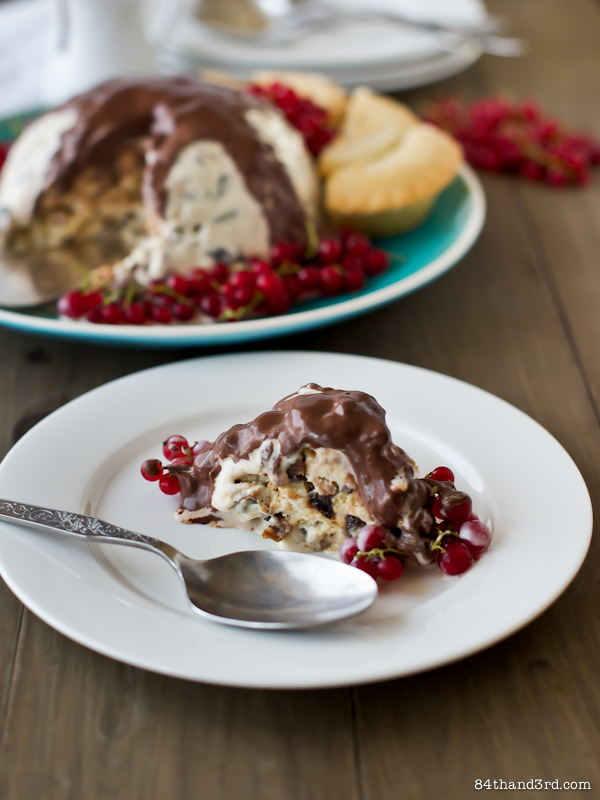 Scoop ice cream into separate large bowl and allow to soften while you chop the pies and pudding into small pieces no larger than 1 cm. Fold pie and cake pieces through soft ice cream then tip into lined bowl. Smooth top and cover with another piece of wrap. Freeze at least 4 hours or overnight. 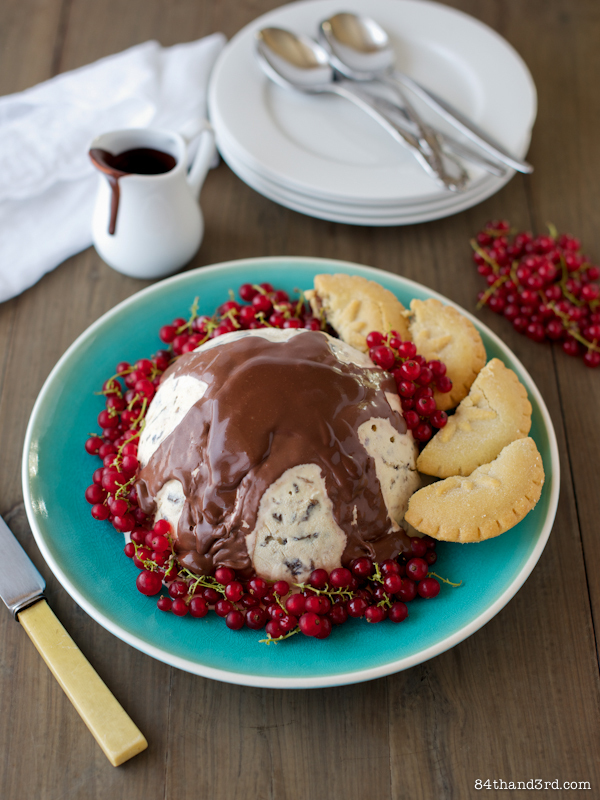 Prepare chocolate sauce: When ready to serve bombe, warm cream to just simmering, remove from heat and stir through chocolate until melted. Cool to room temperature. Wipe bowl with a warm towel to loosen ice cream and turn out on to serving platter. 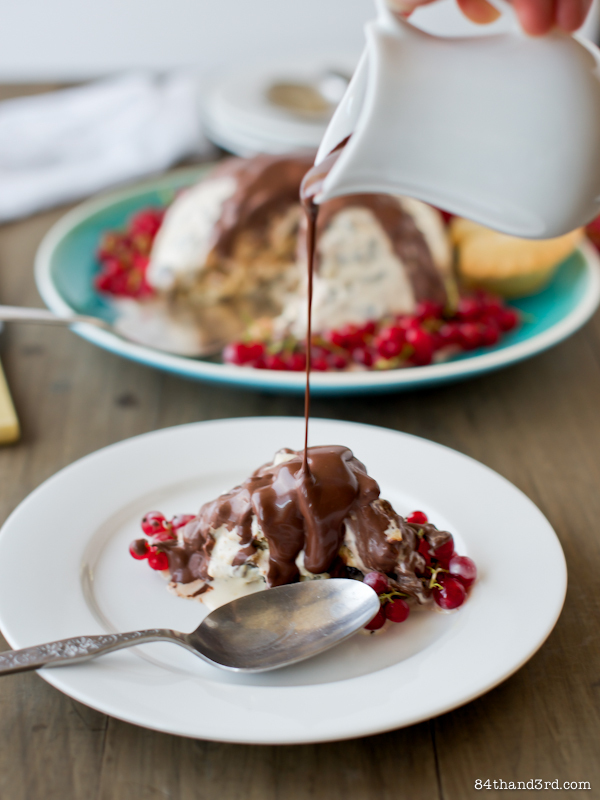 Drizzle bombe with chocolate sauce and decorate with summer fruit and nuts. Slice and serve with extra chocolate sauce. I used Woolworths Gold Bourbon Vanilla & Hazelnut Ice Cream, Woolworths Gold Fruit Mince Pies with Single Malt Scotch Whiskey and half of a Woolworths Gold Vintage Christmas Pudding. This post was sponsored by the Woolworths Gold range and I was compensated for my time. Opinions and recipes are, as always my own, editorial policy can be seen here. I’ve yet to come across a comprehensive listing of all the Woolworths Gold products but you can see the Christmas range in Fresh Magazine (including a take on Turduken if you’re considering that insanity) and plenty of other pantry products on their site. 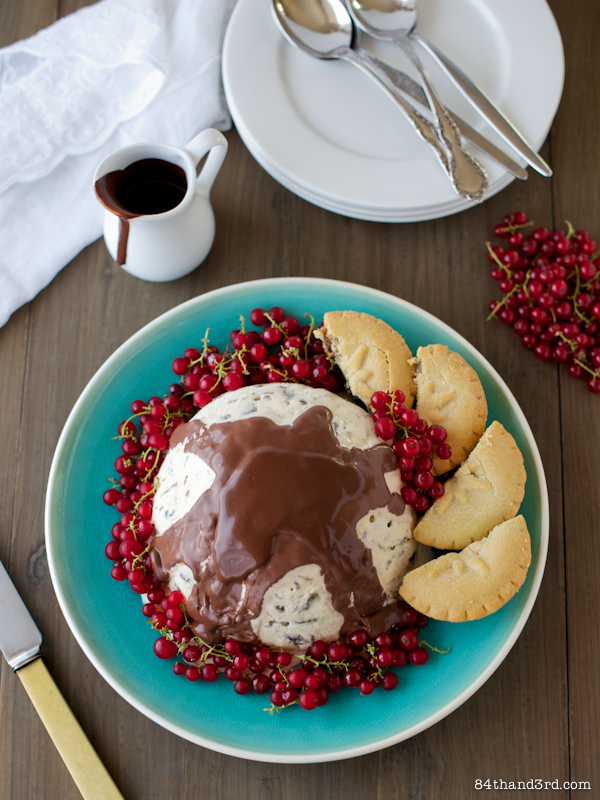 Perfect pud for an Aussie summer! Would be delicious here in the freezing, snowing western NY, too. But maybe I will save it for summer. 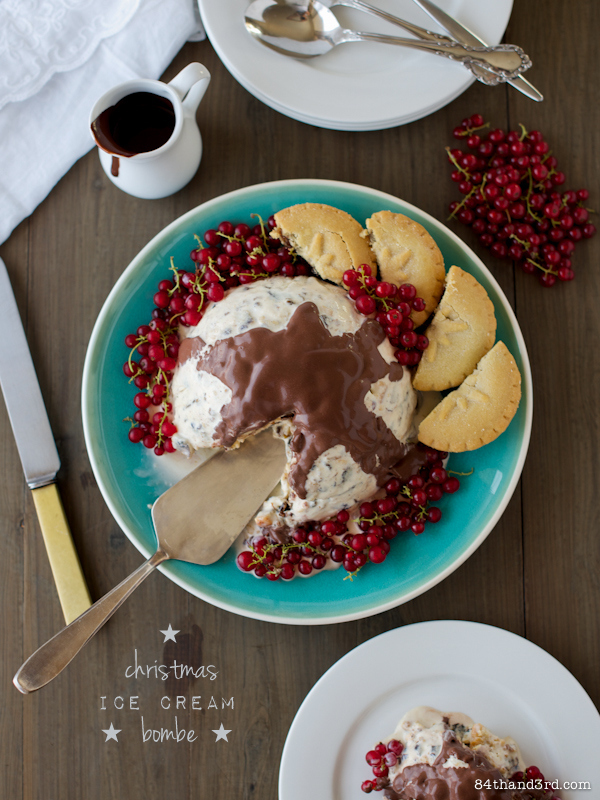 This is just my kind of Christmas pud. Trad/modern mash-up rules! P.s. loved reading about your family’s Christmas traditions and how they evolved. JJ this looks perfect for a hot summer Christmas. I didn’t see the ice-cream when I was researching my post but my goodness it sounds good. Have to say I was very impressed with the range after being a little sceptical like you to begin with. My grandma said the champagne truffles were the best chocolate she’s ever eaten! I’ll admit I miss Christmases in New York with my sister or with my family in Maine, Georgia and Florida. I’m not sure I’ll ever feel the season in the summer, but I keep trying. I put lights up and play music and I figure one day the mood will kick in. This is utterly amazing, thanks for sharing your recipe creatiion. I really want to make this …even though I am a newbie at cooking desserts. The Woolworths Gold brand make really good jams! I haven’t tried the other products, but that icecream looks decadent. This looks incredibly indulgent, in the best of ways of course! I can understand your hesitation in sharing Woolworths Gold products… I try to avoid buying supermarket brands as much as possible but it was really great to hear your balanced opinion. 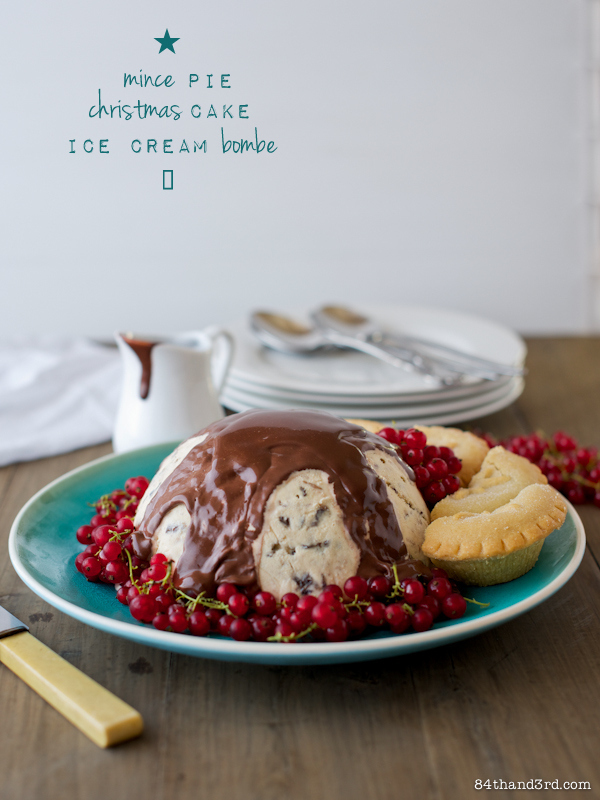 Love the look of the ice cream bombe, perfect for an Aussie summer Christmas!